BAGHDAD — Eight suicide bombers believed to be with the barbaric Islamic group ISIS, also known as the Islamic State of Iraq and Syria, were killed on Friday after they set foot onto an Iraqi base that is occupied by U.S. Marines. 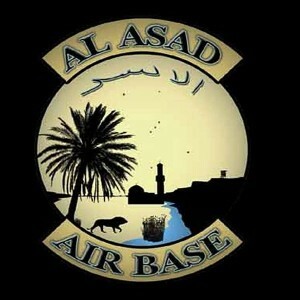 According to reports, Iraqi Security Forces (ISF) took out the bombers at the Ain al-Asad air base before they could get anywhere near the Marines. Coalition forces assisted in identifying the bombers. The Task Force also said that it did not believe that the U.S. military was in danger at that time. “Coalition forces were several kilometers from the attack and at no stage where they under direct threat from this action,” it explained. As previously reported, the base has been a target of Islamic militants in the past, being struck by mortar fire within the last two months. In January, NBC News reported that the Ain al-Asad base had been “pounded almost daily” by ISIS, but that U.S. officials characterized the assaults as being “nuisance attacks” and were unsuccessful. Approximately 300 Marines have been working to train Iraq’s 7th Division at the site. Much of the town of al-Baghdadi was seized by ISIS on Thursday, just three miles from the air base. The attack is stated to have occurred from all directions as ISIS took control of the central police station, as well as other government buildings. U.S. forces carried out several airstrikes in Iraq on Thursday as the assault was underway, but mainly in Mosul and Kirkuk, and the ISF was reportedly fighting back against the insurgency on Friday, seeking to reclaim al-Baghdadi from ISIS forces. Earlier this week, Barack Obama sent out a letter to members of Congress seeking authorization for increased action against the terrorist organization, which he refers to as ISIL.